It can never be a good feeling if you or anyone of your family has to go to a hospital, particularly in an emergency. However, sometimes, you just cannot avoid it. I generally don’t like hospitals. I am sure I share this feeling with many of you reading this blog. Recently, I had to take my partner to a hospital in an emergency. I had to call for an ambulance for that and I don’t remember experiencing anything like this ever. Whenever I think of that day, I don’t know how I faced the situation and came out of it so coolly. At the moment of my despair, I was undecided on which hospital to go to. 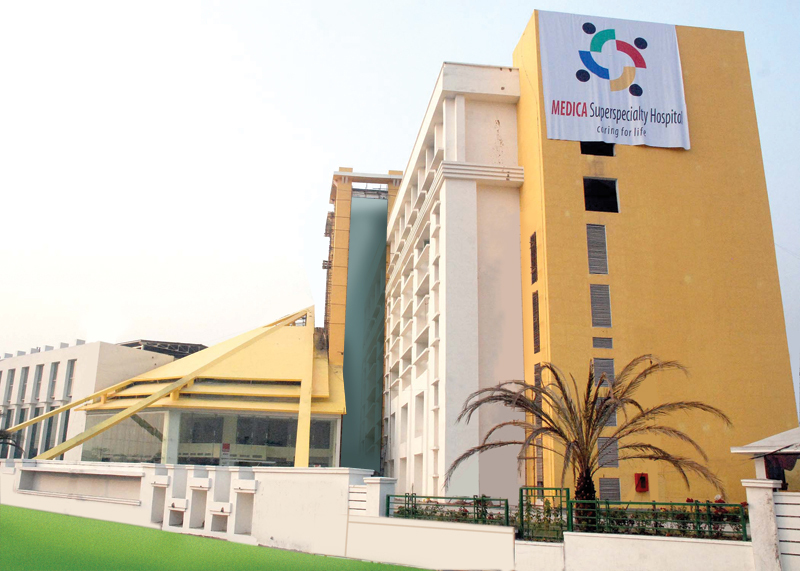 A friend of ours suggested us to go to Medica Superspeciality Hospital which is the nearest hospital we have. So, the friend called up the emergency number and an ambulance was arranged and which reached our residence within 10 minutes. We reached the hospital and admitted my partner in the emergency room. We were made to wait outside while the doctors attended to the patient urgently. While waiting outside, I realized one thing that the hospital didn’t feel like a hospital at all. The usual smell of disinfectant mopping solution, smell of medicine etc, none of it was there in the atmosphere. It suddenly made me feel positive and less depressed. The waiting room of the emergency unit was well organized with clean and colourful seating arrangements and a television in front of the seating area. A nurse called me from the emergency room as the doctor wanted to talk to me. My heart skipped a beat. Well, I didn’t know what on earth….the doctor had to say! He said nothing is wrong with my partner, except that he had an acute attack of spondylosis. The doctor said that we would have to keep him in the hospital for a day or two so that they can do some tests to be sure that there was nothing wrong otherwise. I agreed. We were transferred to a single occupancy cabin on the 6th floor that evening. Keeping him in the hospital cabin with a friend, I went home to get some clothes to change at night and some other necessary things for the night stay. Since there was no one at home, I parked the car in the hospital parking area and went upstairs to attendant to my partner. When you enter the lobby area from the car dropping area, it is difficult to accept that it is not the lobby of a five star hotel but a lobby area of a hospital. The lobby has relaxing sofas, coffee shops and a huge reception area with artificial and real greenery landscaping the place beautifully. Here, any patient will feel at home, leave alone the feelings of the attendants. The lifts of the hospital were very clean, smooth, spacious and well maintained with a lift-man or lift-woman attending to it 24×7. Reaching the 6th floor, I entered the cabin after crossing a long spacious corridor donned with beautiful paintings on the wall. The cabin was spacious with a beautiful large glass window overlooking the front garden of the hospital. The furnishings were in whites and off-whites with little furniture inside the cabin. There were two beds, one for the patient and one for the attendant. The bathroom was sparkling clean with large white fresh towels and a pack of toiletries for the patient. The hand shower was of a handy length and there were enough handles for the patient to hold on to. The maintenance is very meticulous and strictly supervised. However, the frequent visits to the cabin by the housekeeping became annoying especially during the afternoons. The friendly nurses, dutiful doctors, attendants and the well stocked quick servicing canteen really made our stay in the hospital less painful and more satisfying. We were released after 2 days of our stay there. I thank God for the quick recovery of my partner. While thinking of the hospital, I sincerely hope that Medica Superspeciality Hospital maintains the quality of its services and maintenance forever with no compromise whatsoever.